The WordPress content creation experience recently underwent a major overhaul. The release of WordPress 5.0 saw the introduction of the new Gutenberg block editor. As a result, your posts and pages will never be the same again. Before Gutenberg, creating content in WordPress was like writing in a traditional word processing program. The old WordPress Classic Editor presented a very text-oriented experience. Type your article into the editor, add some formatting with the toolbar buttons, and maybe (if you’re feeling ambitious) add an image or two before publishing your page. It was very straight forward, but also limiting. By contrast, Gutenberg breaks content into blocks. A Gutenberg block can be any type of content — simple text, an image, a photo gallery, an audio recording, a dynamically generated list of recent posts, you name it. With Gutenberg, you build your pages by selecting the most appropriate blocks for the type of content you’re publishing. It’s a massive change from WordPress Classic. This lesson on Gutenberg Blocks Basics teaches you the core concepts you’ll use to build your pages with Gutenberg. The block editor represents such a significant innovation to WordPress that we’ve created an entirely new course called Gutenberg Essentials. This two-hour, 19 lesson course, prepares you to dive in head first and start using Gutenberg to its fullest potential. Here’s the best part: Gutenberg Essentials is now included as a free bonus with every course we offer. 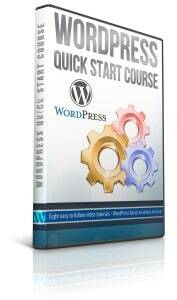 No matter which course you choose, you’ll have access to the latest training you need to take full advantage of the power of WordPress. We realize that quite a few long-time WordPress users aren’t quite ready to upgrade to Gutenberg just yet. If that’s your situation, we’ve got your back. In addition to the new Gutenberg course, WP Apprentice continues to offer training for the WordPress Classic Editor. Whatever your WordPress situation, we’ve got training to help you take control of your website.